The 2008 African championships also served as the African Olympic Qualifications. The tournament was held in Windhoek, Namibia from March 24 to 29. Boxers who reached the finals were assured of a place at the Olympics. Nick Okoth, Bernard Ngumba, Nick Abaka and Aziz Ali all reached the final thus qualifying for the Olympics. Nick Okoth was crowned Africa champion. 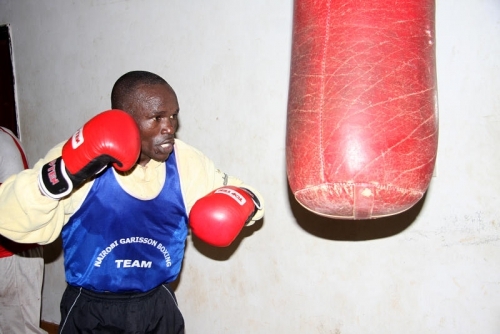 This entry was posted in kenya boxing results, Kenya Sports news and commentary and tagged Aziz Ali, David Opiyo, James Wasao, Morris Okolla, nick abaka, nick okoth, rayton okwiri, thomas kasina. Bookmark the permalink.